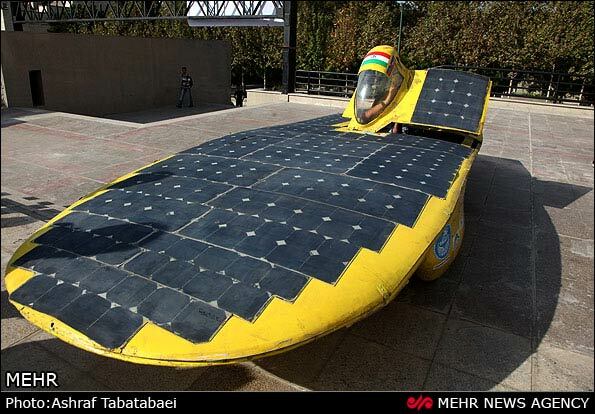 Iranian scientists at Tehran University are planning to make the third generation of the domestic solar car known as "Iranian Gazelle 3" after the first and second generations of Gazelle turned out to be success. The two-seat, four-wheel electric vehicle's maximum speed is 100 kilometers per hour with two electrical engines on the rear wheels. Therefore Gazelle 3 is heavier than its predecessors, Gazelle 1 and 2 which were single-passenger vehicles with three wheels, and needs more powerful batteries. The scientists are trying to use more resistant materials made from aluminum alloys and carbon fibers for the car body. 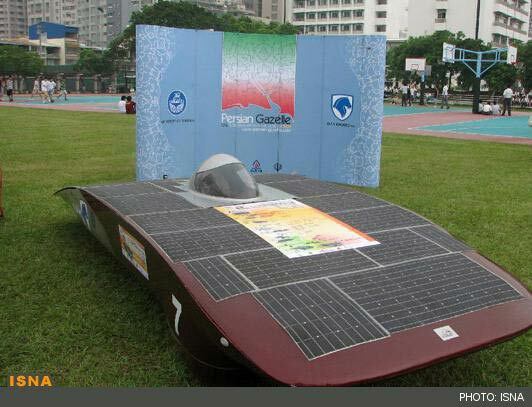 After the 800.000-dollar project is financed the solar car will participate in Australia World Solar Challenge 2013. The head of Gazelle research team, Karen Abrinia said considering the advancements in the Gazelle 3, manufacturers plan to commercialize the car.